Having announced itineraries through May 2020, Carnival Cruise Line does its deployment basically on an annual cycle, opening up a year’s worth of inventory at a time, according to Fred Stein, vice president of itinerary planning. “Meanwhile, every day, every week, we are constantly monitoring the performance of all our products, and it becomes an exercise in optimization essentially,” he explained. As for homeport and itinerary criteria, Stein said: “First of all, it must fit with our core strategy. 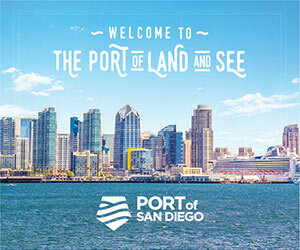 As we are primarily serving the North American market, we have many local homeports. Two-thirds of our guests drive to the port, and half the population of North America lives within a five-hour drive of one of our ports. “We also focus a lot on the family market and not having to buy air tickets. If you are a family of four, for example, it really helps reduce the cost of the vacation. Another key factor is the technical characteristics of a port, whether they can accommodate Carnival’s ships. Some homeports, for example, have height restrictions because of bridges, Stein noted, limiting the size of vessels that can get into these ports. Fuel costs and shore excursion revenue also play important roles. Stein said that Carnival already has two or three scenarios for what things will look like in 2022 and 2023 and is constantly evolving those scenarios based on the performance of the existing fleet and being mindful of industry trends. Going into 2019, among some of the changes for Carnival is more capacity in the short cruise market. On the West Coast, big things are happening too, with Carnival deploying the new Panorama on seven-day Mexican Riviera cruises in fall 2019. The Splendor moved to Long Beach this winter, but moves on to Australia when the Panorama arrives. Also underway is a new port development in Ensenada.